Did you call your mom this Mother's Day? The ladies of XOXO talk mothers and daughters and explain why moms are the one thing we can’t live without. Don’t forget to check out our Free Reads: right now we’re featuring Stefanie Wilder-Taylor’s Nap Time Is The New Happy Hour and Cindy Gerard’s Show No Mercy, and several other great books that you can read for free in any browser. You can also check out our Gems From The Vault with great e-books as low as $1.99! 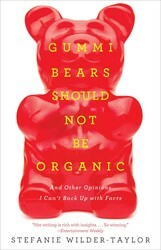 Lauren interviews New York Times bestselling author Stefanie Wilder-Taylor and discuss her new book, Gummi Bears Should Not Be Organic. After listening to Stefanie on the podcast, you’ll see she isn’t afraid to tell it like it is. And what it is now is summer break for her three daughters–so basically hell in a handbasket, demanding customized activities and homemade snacks. But how do you tell you might be getting to nuclear blowout level? Click here for Stefanie’s handy hints on how to recognize those warning signs and get yourself a pedi and a babysitter, stat! Make sure to follow her on Twitter to keep you laughing all day! Finally, the ladies wrap up with Game On: Name That Mom! This is a maternal 1.5-2.5 Balls of Fire episode, so you can listen at work, with your mom, or anywhere you like. And remember–the best conversations happen after dark. Are you more like Kate, Abby or Lauren when it comes to communicating with your mom? Tell us in the comments! 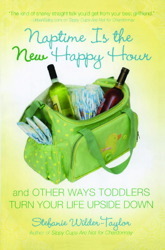 In busy Mom-friendly short essays, Sippy Cups Are Not for Chardonnay delivers the empathetic straight dirt on parenting, tackling everything from Mommy & Me classes ("Your baby doesn't need to be making friends at three months old -- you do! But not with people you'll meet at Mommy & Me") to attachment parenting ("If you're holding your baby 24/7, that's not a baby, that's a tumor"). 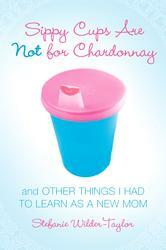 Motherhood -- it's not for wimps. Whether it's planning easy outings that are fun for both of you (fact: your child will find the local Target just as scintillating as the Guggenheim), dishing the dirt on preschool TV (those mothers who swear their kids don't watch television? Liars or psychos, every one), or perfecting the art of the play date, readers will find advice, anecdotes, and a reassuring sense of camaraderie to help them survive -- and even thrive -- during each hilarious, frustrating, and amazing moment. 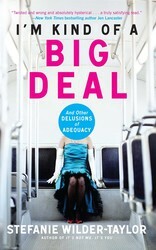 WARNING TO READERS: The Author of This Book is Kind of Crazy, Kind of Delusional, and All Kinds of Hilarious Whether she's driving a limo for former Family Ties star Justine Bateman, dancing in the dark for a rarely seen Bob Dylan music video, or stalking a bachelor reject from TV's Love Connection, Stefanie Wilder-Taylor is kind of a big deal; at least in her own mind.